Having been killing an awful lot of bunnies with the .22 lately, I thought I'd pass on what I've learned recently. There is a great controversy concerning the .17HMR vs. .22 choice - but as far as I'm concerned, the .22 still comes out on top. Why .22? Bolt or semi? The .22 is the only truly silent rifle. With relatively inexpensive sound moderator and subsonic ammunition, the only sound you hear is the firing pin falling, apart from the impact of the bullet on whatever it hits. This is another reason to go for head shots, as the sound of a bullet going through a rabbit's lungs makes an almighty slap, but the sound of an impact on the head is relatively silent. 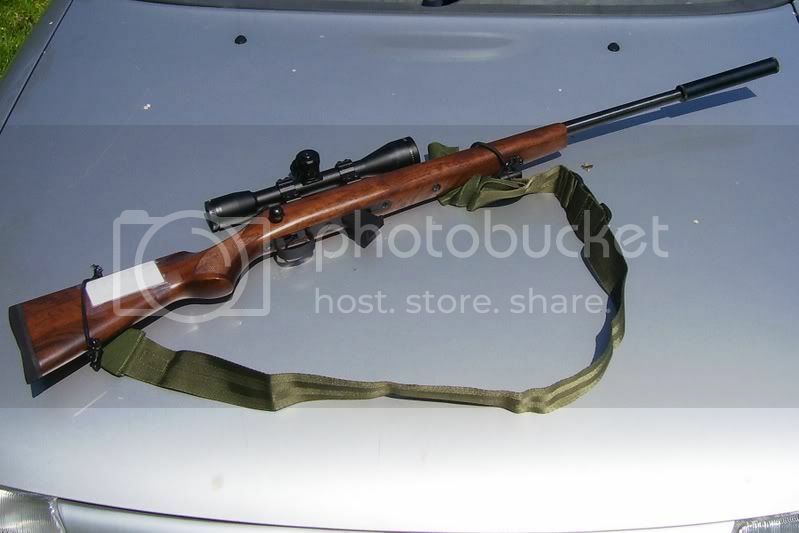 After experimentation, I have gone for the CZ (or BRNO as some call it) bolt-action rifle. The Ruger 10/22 semi-automatic is popular with many, but has severe drawbacks. Firstly, it shares with other semis the problem of reduced accuracy - it's useful in theory to be able to take a fast second shot, but it's unlikely that it will be a lot quicker than a bolt gun, given that you need to bring the reticle of the sight to bear on your target rather than just blaze away as with a shotgun. Thus, your quick reload is more than cancelled out with the reduced accuracy of the semi. Common to other semis is the problem of reduced power (15-20% of the propellent power is used to operate the mechanism) and increased noise (of the action slamming away and discharging gas). They are also prone to jam every 300-400 shots or so, as the .22LR is a very 'dirty' round, so a full strip and rezero is necessary at regular intervals. In addition, the Ruger has a very heavy trigger - about 10lbs of pressure is necessary to discharge it, which can easily take your aim off. The Sako Finnfire is another very fine rifle, but is no longer made, Sako having changed to the expensive and - to my mind - rather flimsy Quad. After experimentation, I find that the best round for rabbiting is the Eley Subsonic hollow-point. .22 hi-velocity ammunition in theory extends range, but makes a hell of a racket. Winchester subs are OK but not of very high quality of bullet manufacture, leading to inherent inaccuracy. Eley subsonics are, to use up spare capacity, manufactured on the same machines as the higher grades of match bullets used in target competitions. 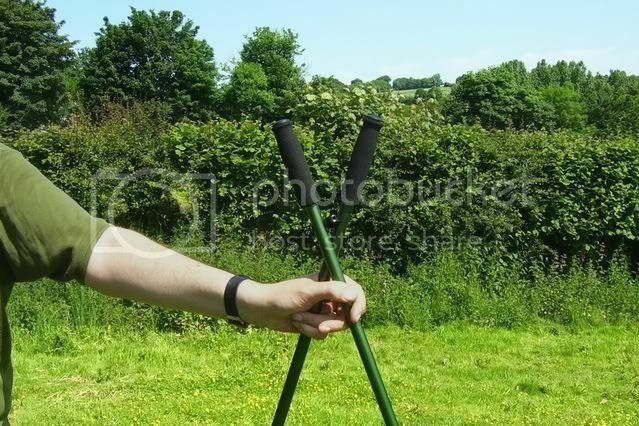 They are more accurate and reliable for only a few pence more. Most subsonics are 40-grain - CCI make a 60-grain, and although these have more stopping power at short ranges, the added weight reduces range and causes an irritating amount of bullet drop to compensate for. If you're going for head shots (necessary to drop the little buggers), consistency and accuracy matters a lot. The .22 is perfectly accurate out to 100 yards if the bullet drop is properly compensated for. My method is to use a Bushnell Yardage Pro rangefinder (I got it for deer stalking but it's had much more use in rabbit shooting, where twenty yards can cause a 2-inch drop at the 100-yard range) to get the range accurate to a couple of yards, and use it with a Bushnell E3200 10x40 scope with target turrets. Having zeroed the scope in on the range for distances from fifty to a hundred yards, in ten-yard stages, I can use this with the rangefinder to alter the 'scope with the precise number of clicks required to be on zero for any realistic range. Many people go in for camo and hides etc, which can be useful if lying up, but my preferred method is to walk up on the quarry to within reasonable range - I find that about 75 yards gives the ideal combination of accuracy and stealth. What is necessary is a rifle rest. 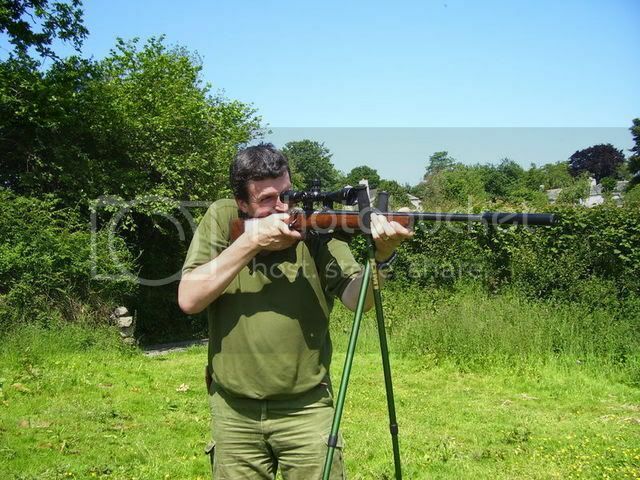 If you are fortunate enough to be able to take prone shots (ie not too uneven ground, not full of nettles, thistles and cowshit etc), then the trusty Harris bipod is your best bet. If you're taking a lot of standing shots, then a Stoney Point or x3m1 tall bipod is your best bet. One note about the x3m1 - it's best to replace the crappy, self-unscrewing joint at the top with a bolt going into one of those locking nuts with the plastic around the edge to hold them firm. 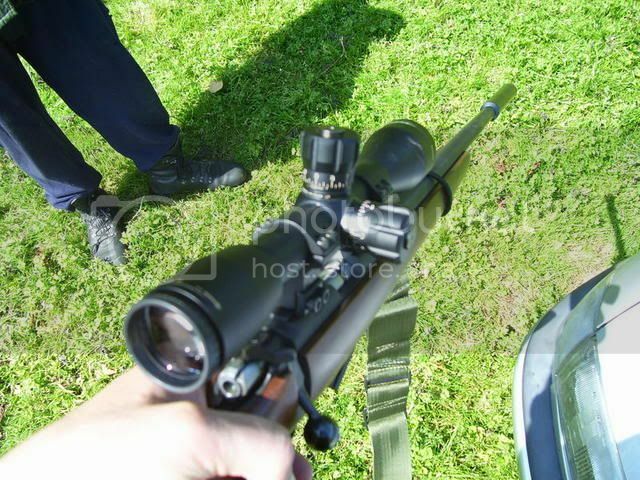 And remove the stupid strap from across the top of the bipod, it achieves nothing but to get in the way. Anyway, this method works very well for me, and I hope it's of some use to others. Given the smallness of the target (below the rabbit's ear) and the shorter ranges, rabbit shooting calls for more accuracy than deer-stalking - the DSC1 requires 3 shots in a four-inch circle at 100 metres. Try 2" accuracy at 50 yards in rabbit shooting and see how far it gets you. Excellent Brownbear, can we publish that as an article on the main site?